There are currently 27,176 users on this website. I just joined this Coin Community Family and am a new coin collector. 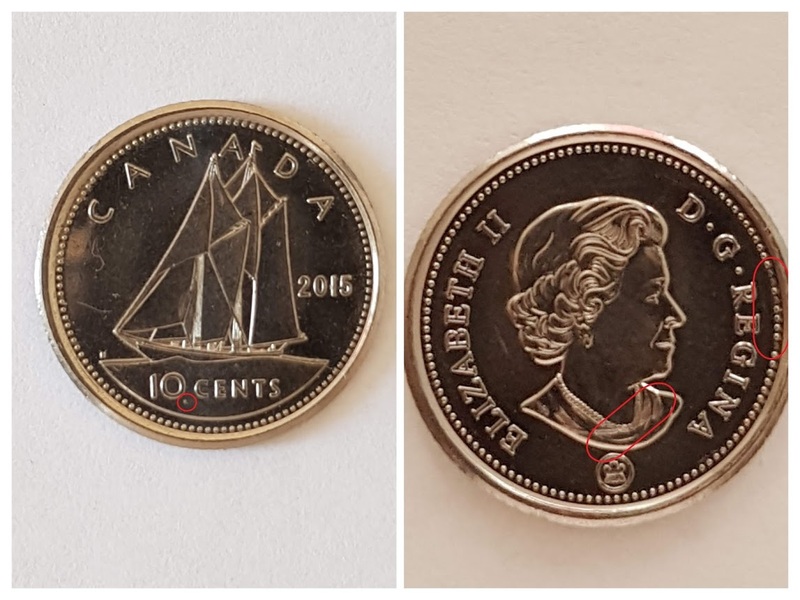 I have a Canadian 10 cents coin with, in my opinion, errors. The back has a dot possibly a die chip. The front side, there seems to be a fold in the neck area covering the necklace. I have taken 4 pictures of each side to rule out optical error. The dot and the error have been highlighted in the third set of pictures. 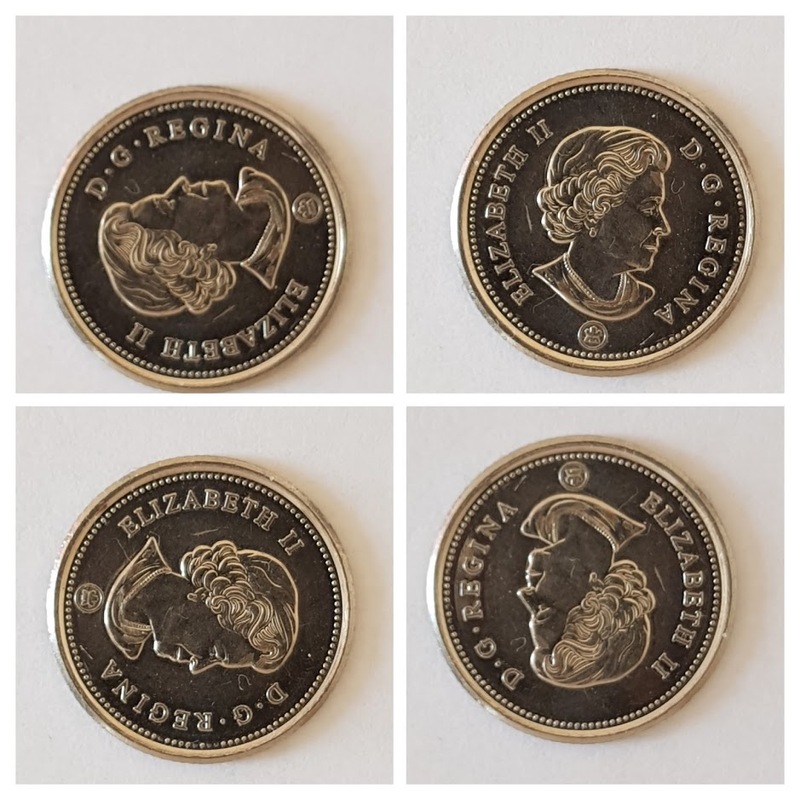 There is no mention of this type of 2015 - 10Cents Canadian coin on the internet. It is better for me to post the pictures for the experts of the forum to guide towards grading or not. ... it looks like it is a grease filled in the area you are seeing. Thank you mcshilling for your observation. The coin after a good wash is still the same. Its not grease for sure. No I think you are looking at this the wrong way, grease filled is when the die is filled with grease and when it is stamped the grease stops the metal/material from forming right. Sure best I could do to explain.